"The Way" (2013) on the album Yours Truly(2013). Sáng tác bởi STREETER, AMBER / MCCORMICK, MALCOLM / SAMUELS, HARMONY / SPARKS, JORDIN / RUSSELL, BRENDA / LAMBERT, AL. Sản xuất bởi Lyrics © Sony/ATV Music Publishing LLC, Kobalt Music Publishing Ltd., Universal Music Publishing Group, BMG RIGHTS MANAGEMENT US, LLC. 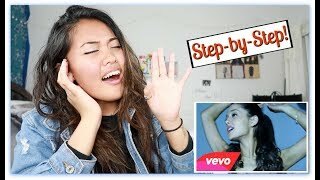 How I Learned "The Way" High Falsettos by Ariana Grande!! Albums has song "The Way"